Paulo and his wife run a car rental family business: Express Tours Portugal. How do you manage reservations, calculate costs, agents commission and vehicle preparation on time? 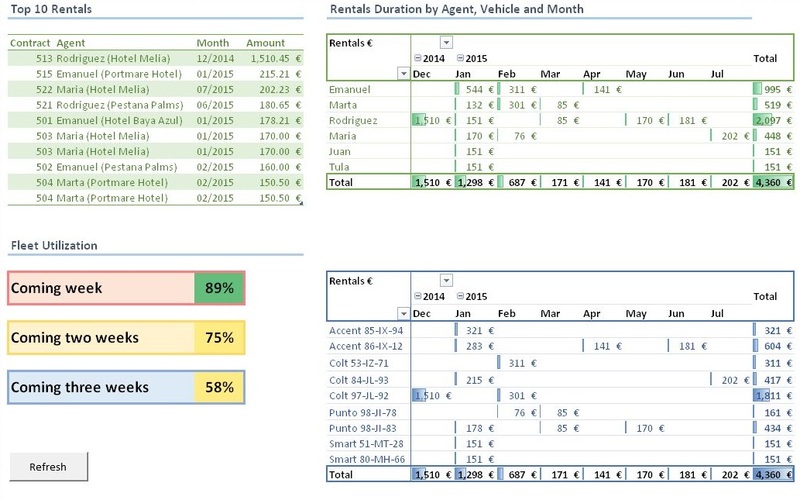 How do you avoid double booking within the time required to prepare a vehicle between rentals? How do you instantly track vehicles availability and do you analyze business performance and forecast the upcoming period? The solution designed and developed for Express Tours allows vahicle availability view, track reservations and rentals, produce a daily report listing vehicles to be returned, produce agents commissions report, analyze business performance and forecast upcoming business. This solutions prevents Paulo and his wife from double bookings of vehicles, miss returned vehicles and boosts sales.